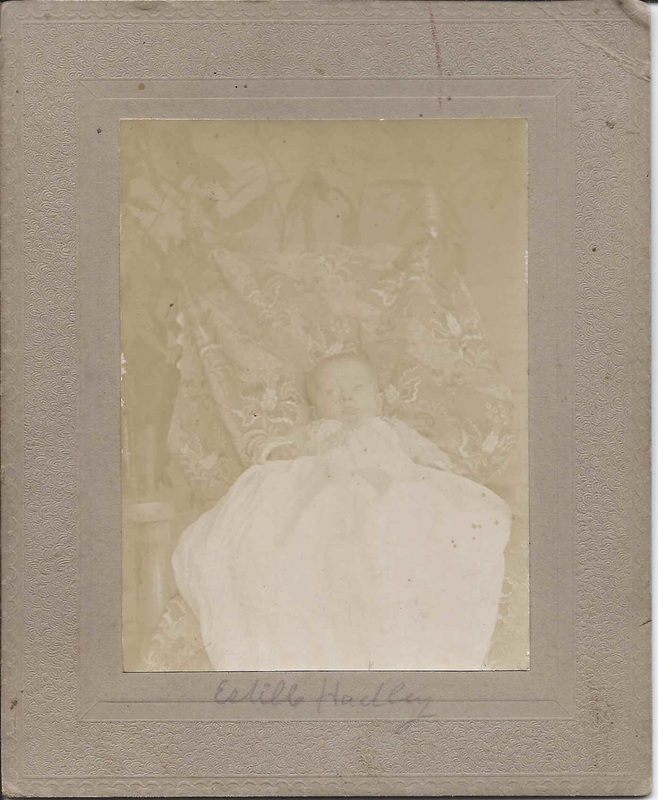 Photograph of a baby identified on the reverse as Estelle Morton Hadley at age 5 months. 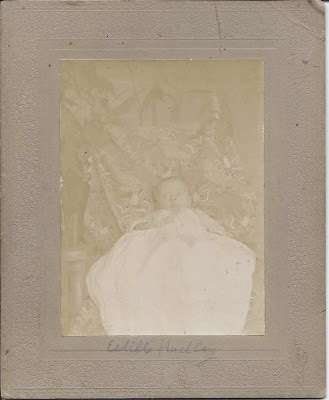 From online research, I found that Estelle was born at Jackson, Maine on 8 July 1901, daughter of Herbert Charles Hadley and Annie Cora (Morton) Hadley. Her birth record shows her given name as Estella, but other records show Estelle. On 16 June 1923, Estelle married Frederick Everett Stevens, Jr., son of Frederick Everett Stevens and Margaret A. (Haswell) Stevens. Frederick was born at Frankfort, Maine, on 12 March 1902. 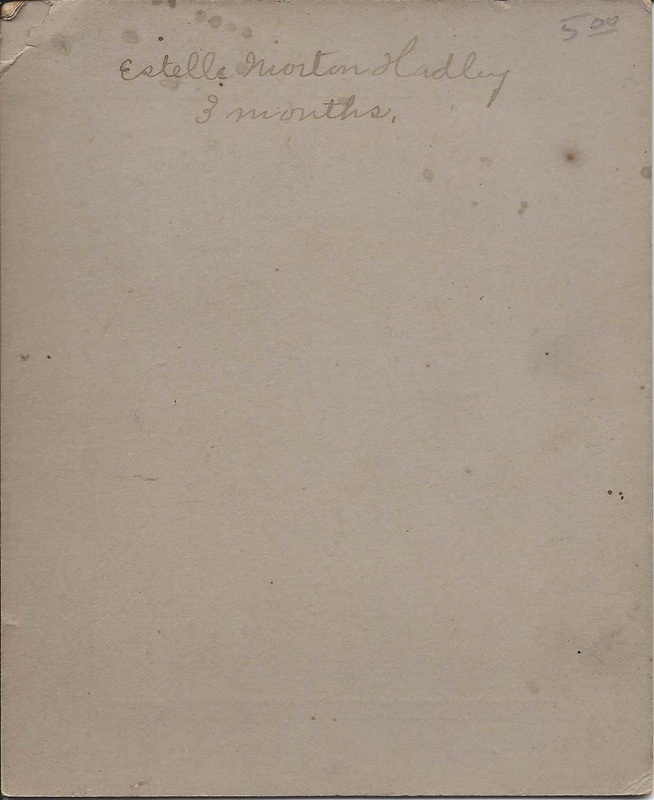 Estelle and Fred lived at Frankfort, Maine, and Jackson, Maine, and raised at least one child, a daughter. 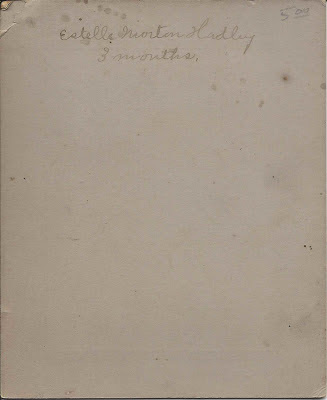 Fred died in 1867, and Estelle in 1981, both at Belfast, Maine.